David Crowther 1 year, 2 months ago. A small but select band met at Redmires car park and set off through heavy slush up the hill and down to the Headstone. 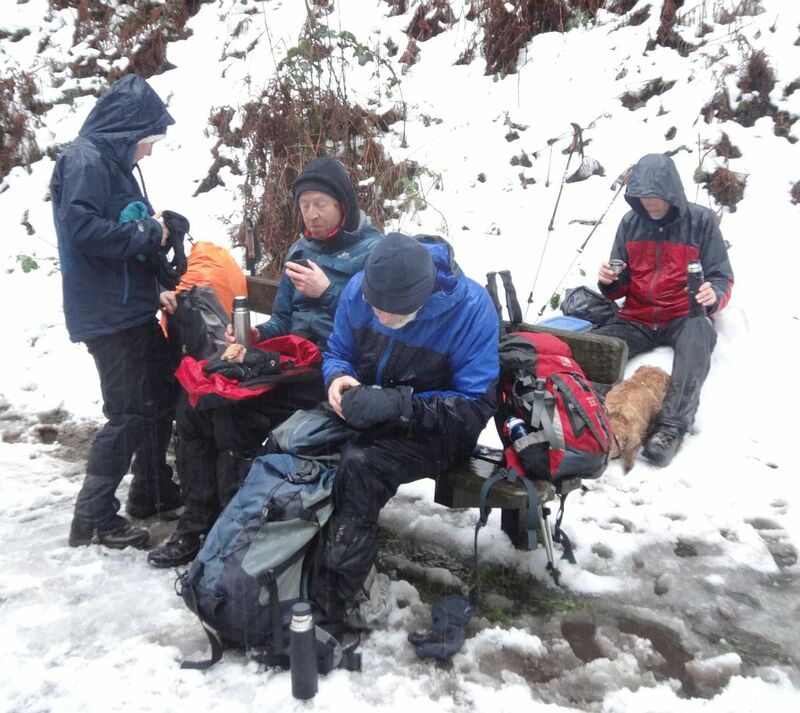 A chill breeze and some sleet encouraged us to head down to the valley, where eventually a coffee/lunch stop was taken at a bench on the track. 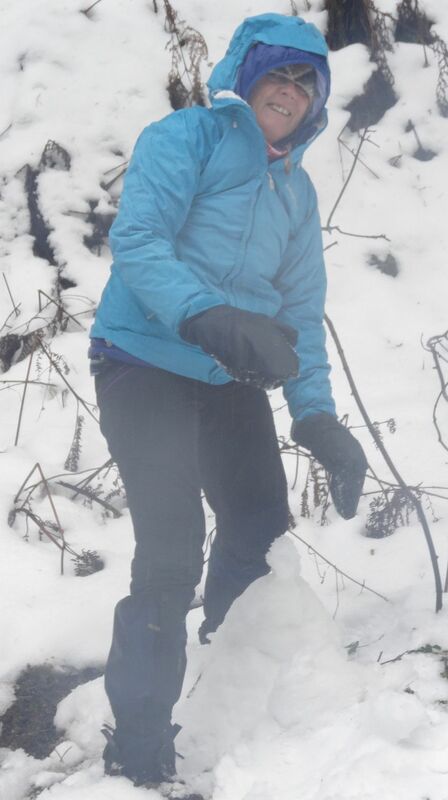 Ali found enough snow to build a small snowperson before precipitation restarted and we headed off for the brown, foaming waters of Wyming brook. At the top we took the road to the top of the hill then headed off onto the concessionary path back to Redmires, completing the six and a half miles..
On the way round we found water under (and sometimes over) our feet in solid, semi-solid and liquid states, alone and in combination with all other local substances – a good boot-tester. Thanks to the 7 hardy souls (and one small dog) who turned out.